Sorry to people (like me!) who find these aggravating. 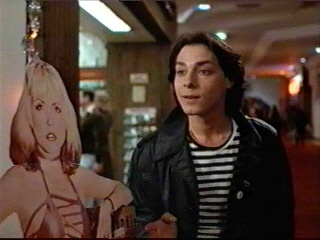 Fast Times at Ridgemont High was based on a book written by Cameron Crowe about his experience pretending to be a student at a California high school (as a very youthful looking 22-year old Rolling Stone writer). A number of the actors went on to distinguished careers, including Sean Pean, Forest Whitaker and a briefly seen Nicolas Cage. Without much of a plot beyond a snapshot of Californian teenage life at the time, the experiences of the main characters nevertheless highlight a number of personal finance (and life) issues. Presented as the aloof high school sport star, Charles presents the experience of individuals who luck into wealth. It can be an inheritance, fortunate events, lottery winnings, or (as is the case here) happening to be good at something that society is willing to pay a high premium for (i.e. football). Not even out of high school, an admirer has bought Charles a sports car, representing the easy-money he will make based on his athletic ability. Also foreshadowing the life he will live, he’s very rude and aggressive to Mikey when he’s greeted socially, then later (when he needs something from Mikey) is willing to be more social. Already his status is separating him from his community and his peers and hinting at a lonely life down the road. After his younger brother and Spicoli steal and destroy his beloved car, they easily trick him into believing it was a school rivalry prank. This foreshadows how he (like so many other sports stars) will be manipulated in the future and makes me wonder how long it will take before “investment councillors” bleed him dry of any money he makes. Spreading his time equally between getting high and avoiding responsibility, Spicoli paints a picture of those who peak early. While having fun and being popular in high school, it’s tough imagining that he’ll amount to anything (even his fantasies of becoming famous as a surfer seem ludicrous). 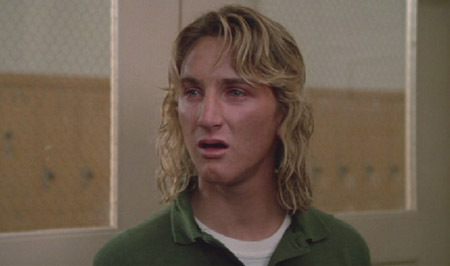 Unwilling to do even the barest minimum effort (like show up to class on time or not drive a sports car while drunk and stoned) Spicoli is the student destined to fail. He and a strict teacher Mr. Hand go head-to-head, with Spicoli losing at every turn and leaving the viewer to wonder why everyone hasn’t given up on the train wreck. The message is beaten home at the end of the movie where it is revealed that Spicoli was given $25K for saving a drowning Brooke Shields (and promptly spent it hiring Van Halen to play his birthday party). Mikey is the unethical entrepreneur, enthusiastically embracing a used car dealer persona as he tries to turn a buck scalping tickets. Although he projects a confident, suave demeanour, as the film proceeds this front breaks down after he betrays his best friend and treats Stacy very shabbily (he stands her up after agreeing to contribute $75 and a ride to the clinic to abort the child he fathered). His betrayal is slightly coloured by viewers’ knowledge that he has more difficulty coming up with the money than he lets on, but regardless his behaviour is inexcusable. Much like Mikey, many people choose to make money in shady ways (and often don’t even earn much of a premium for their ethical compromises). “Keeping up with the Jones” is alive and well, where we try to project an image that we just can’t live up to. Mikey isn’t representative of all entrepreneurs (my feeling is that as a whole, entrepreneurs are probably MORE ethical than average), but he does paint a vived portrait of some of the group’s sleazier members. At first Brad seems to be an example of the hard-working everyman. Devoted to the job and in a leadership position at the burger joint he works at, he’s got an attractive girlfriend, other students ask him to help them find jobs and he debates whether he should break up with his girlfriend to have more fun with other girls in his senior year. 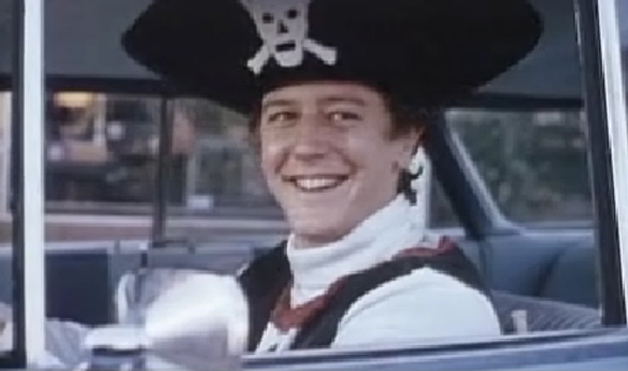 All this comes crumbling down after he gets into a dispute with an obnoxious customer, gets fired, loses his girlfriend, then repeats this pattern at another fast food restaurant (this time in a pirate costume). 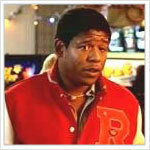 In the final scenes of the movie we’re told he peaks as the manager at a convenience store (after he stopped a robbery). Much like Brad, there seem to be people who do 99% of their lives right, and then just can’t seem to help themselves but tear it all down. It could be cursing out the boss at work, developing a drug, drinking or gambling problem, or even some strange criminal behaviour that only comes out on the night of a full moon. A friend’s brother recently broke up with his financé after she disappeared for a weekend and drained their joint checking account of $10,000 at the casino. In contrast to the Spicolis of the world, the Brads break your heart, as you can’t help but say “if only…”. As is made clear from the pattern he is already establishing, he’s driving himself to ruin just as inevitably as Spicoli, he’s only taking a more scenic route. Stacy, the sexually curious 15 year old, is the unlikely hero in the movie. She follows the advice of a friend who the viewers are left wondering whether or not she has had the experiences she claims to, is treated badly by all three men she connects with over the course of the movie, gets pregnant and goes through an abortion on her own. In spite of this, she stays true to what she’s after (gaining sexual knowledge and romantically connecting with someone) and it’s tough to fault her approach as she gathers information from friends and throws herself earnestly and wholeheartedly into her attempts. At the end of the movie we’re told that she’s now involved in a passionate love affair. If someone was going to start a business, they could do a lot worse than imitate Stacy. She’s passionate, does her research, doesn’t give up or become jaded and keeps giving people a chance to be decent human beings to her. Her approach would also be effective on the path to getting the credentials of a difficult-to-achieve occupation (such as a doctor, lawyer, or clinical psychologist), launching an organization aimed at a charitable or political cause or even on some personal fulfilment path (such as being an author or artist). In summary, Stacy, I salute you! I’m sure the young woman your character is based on has had a wonderful life and I hope you left those goofballs surrounding you in high school and never looked back.